but I always find some spare time for having fun, learn new things and make foolish experiments. I consider Strava one of the greatest invention of mankind. If you are an athlete and especially a cyclist, it can definitely change the way you train. I had some fun experimenting with Strava API and the results were so interesting that I thought: "Hey, I gotta release this thing to the public!". 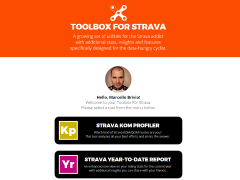 This is how my Toolbox for Strava was born. Appreciated by thousands of users worldwide, this project won the 2nd prize at the 2016 Strava Developer Challange! 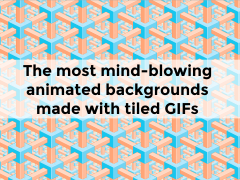 I had some fun putting together this little scrollable gallery of mind-blowing animated backgrounds created with some of the best, perfectly cropped and smoothly looped GIFs I've found on the Web. Best viewed on a desktop computer: just press F11 to turn your browser in fullscreen mode and enjoy! Wakizashi is a free WordPress theme designed and developed designed and developed by myself with filmmakers and video-producers in mind. With a very simple and clean design, this theme is very easy to setup: you can create your own portfolio in minutes adding your videos hosted on the popular service Vimeo. 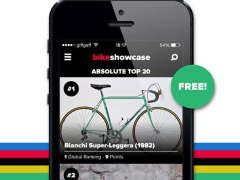 I made this free iPhone app in partnership with my friends at Minisimpli as a natural extension of Bike Showcase. The app offers the same huge selection of cute bikes and adds some interesting features. In particular: users can express their votes, generating rankings of the top brands and the most beautiful bikes in the world, sorted by category. If you own a Pebble smartwatch, you are probably a nerd. 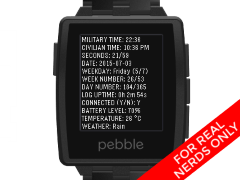 And if you are a nerd, you'll love my Verbose Watchface: it shows in a single Pebble window a bunch of data like time, date, battery and BlueTooth connection status, weather conditions... Everything displayed with a terminal-inspired look & feel (no graphics or cool typography this time!). 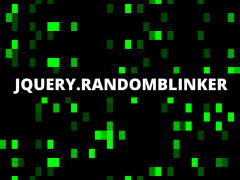 jQuery.RandomBlinker is a little jQuery plugin that creates a nice random animation effect. The effect principle is very easy to understand and customize: a full width table is created in the target container and its cells are randomically turned on and off at a given interval. This project is also available on GitHub. 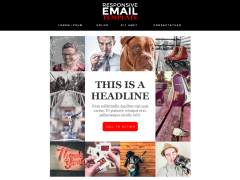 With the help of a very useful resource like Responsive Email Patterns, I created this free responsive email template focused on the following features: full width header with responsive navigation; 3 easily combinable content modules; clean footer with social icons and legal links. This is another project I made using WordPress under the hood. The layout is simple and mobile-friendly, while the backend allows great flexibility in terms of generating multiple "catalogues" for two different product lines. A simple photoblog and some auxiliary pages complete this work. Francesca Bocca is a professional stylist based in Milano. 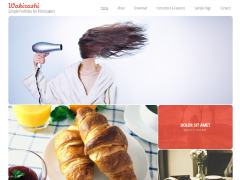 I made her online portfolio and blog with a focus on responsive design. The power of WordPress ensures the maximum flexibility and ease of use for the backend. Tumblr is such a fantastic tool. 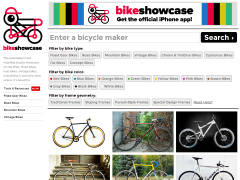 I'm using it as a quick and easy CMS for this showcase of cool bicycles I've recently made. I customized the theme with some CSS3 effects, a "search by brand" form with autocomplete and a color filter tool. I'm having fun with this simple but powerful little thing. And here's another experiment on Tumblr. I had felt the need of this new space on the web since I discovered that a small photocamera fits perfectly in the backpocket of my cycling uniform... Just add a nice vintage touch to the pictures and you can turn any bicycle ride into a heroic endeavor worthy of Fausto Coppi or Gino Bartali. Kusarigama is a WordPress theme with a focus on flexibility and customization, with clean layout and a wide usage of CSS3, its full support to some of the latest WordPress features Kusarigama is perfect both for the newbie blogger and for the WordPress ninja. 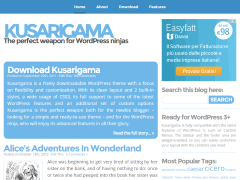 Kusarigama is available for free download, as my personal gift to the amazing WordPress community. Source code now available on GitHub. I like strong typography. I like WordPress. I like inspiring quotes from inspiring people. 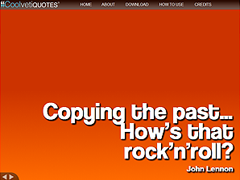 That's the spirit behind CoolvetiQuotes, a very simple WordPress theme with which you can quicky publish your favorite quotes and give them a custom background to obtain the perfect mood you want, creating a colorful stream of words. Source code now available on GitHub. 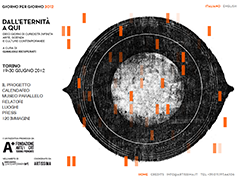 Giorno Per Giorno is an important Italian festival about contemporary culture which takes place in Turin every year. 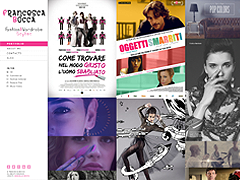 I made the bi-language official website of the initiative in collaboration with Pomo Graphic Design Studio, which took care of design and art direction. The main features of this project are a wide usage of CSS3 and @font-face rules to obtain the desired typographic output, while the home page is dominated by a jQuery animation of random-glittering rectangles. 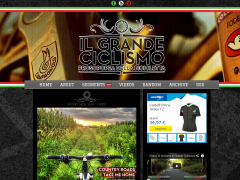 This is another website I recently made using WordPress as a powerful CMS. 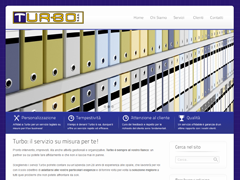 The target was to create a modern corporate website, with a home page that offers a quick overlook on the company's strenghts and philosophy, leaving to internal sections and pages all the details about services, references and contacts. MTV.it is one of the most important entertainment websites in Italy and during my years at MTV this was the project on which I spent the most of my office hours. As web project manager and UX specialist, I was the bridge between product requirments, technical team and editorial people, dealing with the online presence of MTV's main shows, cross-media initiatives and events. During my career at MTV, this is maybe the most relevant product I've had the chance to follow since its beginning and is now one of the most successful websites launched in MTV Europe in the last years. My contribution here started with the initial UX design, IA and requirements definition, getting through staff coordination during the development process. It still goes on with the periodical analysis of KPIs and the neverending release of new features. MTV Classifiche is a key section of MTV.it and set a new reference point for online music charts in Italy, becoming in a very short time one of the top product of our digital network. Like for MTV On Demand, I followed this project's UX design process, content management and technical implementation. The section is focused on SEO-driven traffic and is always evolving with new releases.